It works - no moving parts other than your eye. Eye cup is a bit large but cheaper than buying a magnifying glass and frees up both hands. Works pretty well for the price. I'm happy with it for my occasional use. you get what you paid for I suppose! if you want an ultra cheap magnifier, perhaps for a child to use for show and tell, then that is your purchase.
. I need this with some of the work that I do. Not perfect, but for $3 I don't expect perfection. You will need a good light source, but the clear sides help. I will probably buy another as a spare, I have been using it fairly often. PROS: Not sure if it's 10x, but close enough. Clear sides allow enough light in. CONS: Some minor distortion (hey it's $3). I have used this magnifier a few times and it works OK, as long as you have a bright light illuminating the subject from the side. If the illumination is from above, like a ceiling mounted light, the glare makes it impossible to see anything. The field of view is rather small, and the image is very bowed at the edges. CONS: Very small field of view, illumination must be bright and from a side. 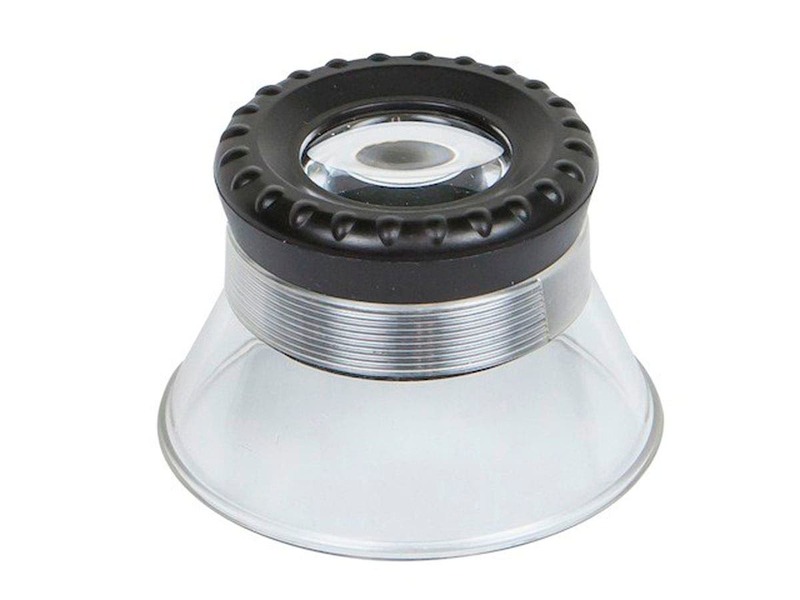 can not beat the quality for the price, it is my most favorite loupe now. lens made of plastic so careful not to scratch. I got these in bulk to give away, so I needed something cheap but usable. These fit the bill. I have a 10x Carson loupe that I was comparing these against. The Carson goes for about $11, and if you are just buying one you should definitely go with that. Although these were true to the 10x power in the very center, there was a lot of change in focus across the viewing area and a marked curvature, whereas the Carson has a much more regular image. 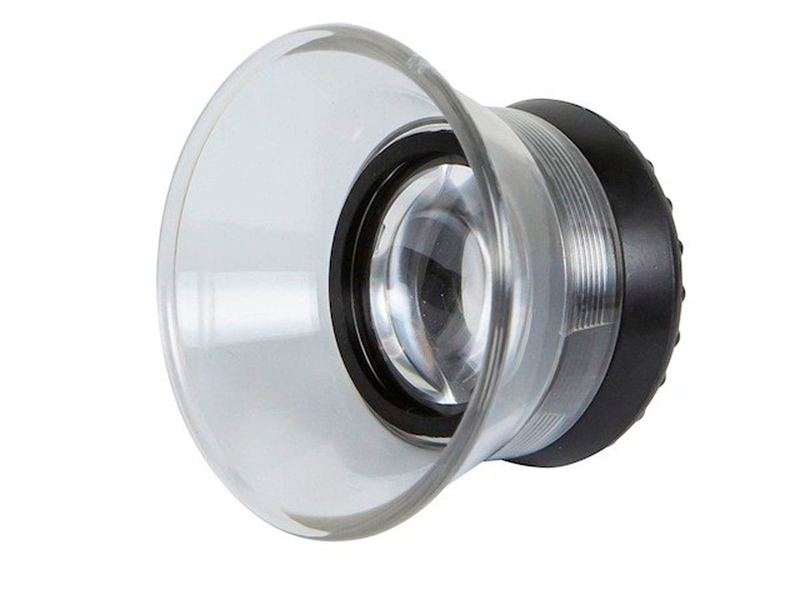 In summary, there are noticeably better loupes available for just a few dollars more, but at $3 these are no rip-off. Lense is clear and good quality. 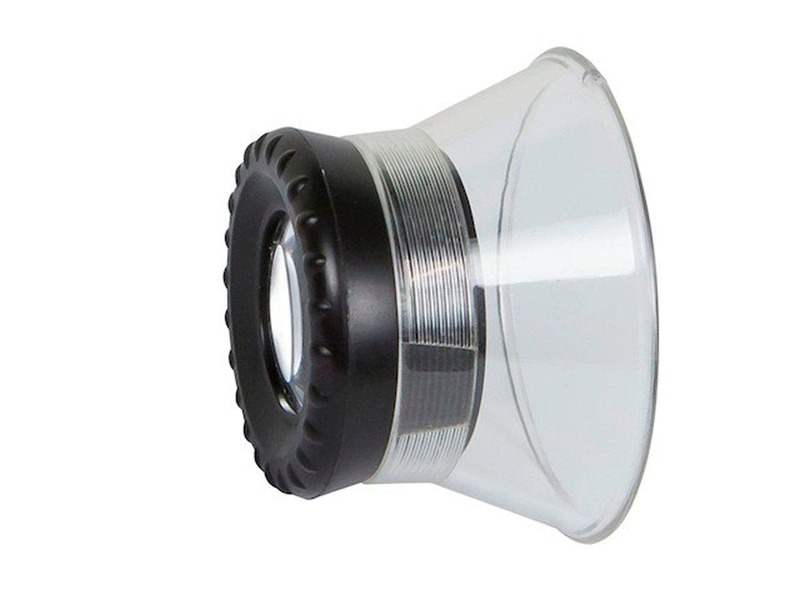 I have a10x loupe already but what drew me to this was the clear plastic. It makes a huge difference in visibility. GREAT BUY!! PROS: See thru plastic helps to submit a light source to what you are observing. For 3 bucks and some change, this is a great deal. Seems well constructed and the view through it is clear and magnifies as it should. The only thing that could be better would be a glass lens, as the plastic one could get scratched, but if you aren't reckless with it, this shouldn't be a concern. Very happy with this purchase. For the money $3. the 10x loupe can not be beaten.